Toyota Prius Specials In Houston Texas! There once was a time when there was pretty much only one game in town if you were in the market for a hybrid car that would save you fuel costs as well as environmental impact. It was the Toyota Prius, and it was a game changer when it debuted. Sure, there are other hybrids on the market now. Lots of them, in fact. But the Toyota Prius remains at the top of the heap when you’re seeking exceptional value, an extensive array of standard features, and advanced safety tech to keep your occupants well-protected on the roads of Houston and beyond. The Prius may be best known for its stellar fuel efficiency – and rightly so – but its other offerings can’t be ignored. The cabin is comfortable, the ride quality is smooth, and the handling is responsive, making it fun to hop in the Prius and hit the road. And with mpg numbers like the ones the Prius boasts, you’ll probably add joyriding to your list of favorite pastimes. Even if you have never considered a hybrid vehicle before, the Prius will win you over. All you have to do is stop by Mike Calvert Toyota and take one for a test drive. Once you’ve experienced the Prius in all its glory and dispelled the myth that a hybrid car is defined solely by its efficiency, we think you’ll see why this legendary member of the Toyota lineup has remained so popular throughout the years. Check out our inventory online to find the Prius models you’d like to take a closer look at, or just stop by Mike Calvert Toyota at your convenience. Get ready to change your preconceptions about what a hybrid car can be when you take one of ours for a test drive! What’s New in the 2019 Toyota Prius? The latest incarnation of the beloved Toyota Prius sees few major changes, but the brand is excited to announce the addition of an AWD-e model. Ready to take on all kinds of weather conditions with ease and safety, this all-wheel drive system uses innovative technology to give you top-tier traction without negatively impacting fuel efficiency. Also on deck for the 2019 Prius are refreshed exterior styling updates in the front and back of the car. These tweaks usher in a new front bumper as well as a revised headlamp and taillamp design. Two new exterior color options – Supersonic Red and Electric Storm Blue – join the palette of available colors. Dropping its previous approach of designating trims by number, the 2019 Toyota Prius will be available in four trims: L Eco, LE, XLE, and Limited. Beyond those changes for 2019, the Prius continues to offer plenty in the way of comfort, convenience, and high-end technology features sure to make the most out of every trip you take. The Prius first came onto the scene nearly 20 years ago, boasting unbelievable fuel efficiency that took drivers by surprise. Those first models were so focused on mpg numbers and practicality that they stood to gain a lot in the way of style and features. Toyota answered the call for more technology, comfort, and safety in the Prius, and as the car evolved it gained ground and became one of the definitive hybrid cars on the market – a distinction it has managed to hold on to even today. Today’s Prius models have retained their staggering efficiency but now bring so much more to the mix that you’ll forget it’s a hybrid at all. And when you combine the exceptional fuel savings with the value-laden car itself, it’s easy to see why so many compact car shoppers seek out this remarkably budget-friendly hybrid. 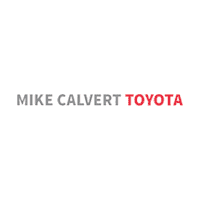 Why Should You Buy or Lease a Prius from Mike Calvert Toyota? Our Houston-area dealership has the full lineup of Toyota models for you to explore to your heart’s content. Whether you’re sold on the Prius or are still weighing your options, come and see what we have in stock. Not only do we have a great selection of all the Toyota models you already love, we also have amazing prices and special offers and incentives. Plus, we have a team of associates who are singularly committed to getting you the best possible price on the Toyota of your dreams. Check out our inventory online now, and then head to Mike Calvert Toyota to test drive your top picks!